Think Vape Ruger 230W TC Box Mod features a highly advanced ST 230 chipset. Powered by dual 18650 batteries, the Ruger fires up to a maximum of 230W. The box mod utilizes a durable zinc alloy frame with modern design elements and a premium leather battery cover, comfortable to grip. The Ruger also utilizes an innovative five-orientation button, providing a precise way for operation. Think Vape Ruger 230W TC Box Mod features a highly advanced ST 230 chipset, which offers 230W of maximum power, full temperature control suite, TCR adjustments, and BYPASS mode. The Ruger 230W Box Mod utilizes a durable zinc alloy frame with modern design elements and a premium leather battery cover which is comfortable to grip. The Ruger also utilizes an innovative five-orientation button, which provides a precise way for operation. The Think Vape Ruger 230W TC Box Mod will never disappoint you! Just got Think Vape Ruger MOD for the first time. Good solid works and everything is nice so far. The product I received is the same as the photo online, and the workmanship is excellent. 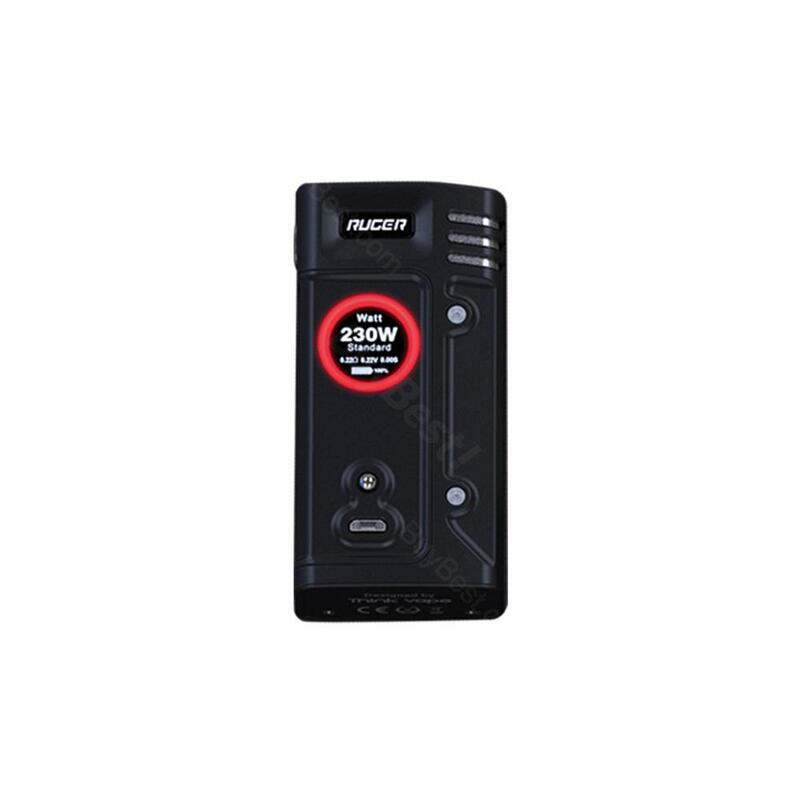 230W Think Vape Ruger TC Box MOD is as small as a dual 18650 can get, with excellent menu system. It is an awesome mod and the Chip is very consistent and accurate. Wonderful! A good box mod that fits comfortably in the hand. I like my BOX MOD very much, thank you.